Dantan E, Joly P, Dartigues JF, Jacqmin-Gadda H (2011) Joint model with latent state for longitudinal and multistate data. Biostatistics, 12(4): 723-736. In many chronic diseases, the patient’s health status is followed up by quantitative markers. The evolution is often characterized by a 2-phase degradation process, that is, a normal phase followed by a pathological degradation phase preceding the disease diagnosis. We propose a joint multistate model with latent state for the joint modeling of repeated measures of a quantitative marker, time-to-illness and time-to-death. Using data from the PAQUID cohort on cognitive aging, we jointly studied cognitive decline, dementia risk, and death risk.We estimated the mean evolution of cognitive scores given age at dementia for subjects alive and demented, the mean evolution of cognitive scores for subjects alive and nondemented, in addition to age at acceleration of cognitive decline and duration of the pre-dementia phase. Leducq S, Giraudeau B, Tavernier E, Maruani A (2019) Topical use of mammalian target of rapamycin inhibitors in dermatology: A systematic review with meta-analysis. J Am Acad Dermatol, 80(3): 735-42. Rouve E, Lakhal K, Salmon Gandonnière C, Jouan Y, Bodet-Contentin L, Ehrmann S (2018) Lack of impact of iodinated contrast media on kidney cell-cycle arrest biomarkers in critically ill patients. BMC Nephrol, 19(1): 308. doi: 10.1186/s12882-018-1091-2. Barbar S, Clere-Jehl R, Bourredjem A, Hernu R, Montini F, Bruyère R, Lebert C, Bohé J, Badie J, Eraldi J, Rigaud J, Levy B, Siami S, Louis G, Bouadma L, Constantin JM, Mercier E, Klouche K, du Cheyron D, Piton G, Annane D, Jaber S, van der Linden T, Blasco G, Mira J, Schwebel C, Chimot L, Guiot P, Nay M, Meziani F, Helms J, Roger C, Louart B, Trusson R, Dargent A, Binquet C, Quenot JM ; IDEAL-ICU Trials Investigators and the CRICS TRIGGERSEP Network (2018) Timing of Renal-Replacement Therapy in Patients with Acute Kidney Injury and Sepsis. N Engl J Med, 379(15): 1431-42. SRLF Trial Group (2018) Impact of oversedation prevention in ventilated critically ill patients: a randomized trial-the AWARE study. Ann Intensive Care, 8(1): 93. doi: 10.1186/s13613-018-0425-3. Dibao-Dina C, Caille A, Giraudeau B (2018) Heterogeneous perception of the ethical legitimacy of unbalanced randomization by institutional review board members: a clinical vignette-based survey. Trials, 19(1): 440. doi: 10.1186/s13063-018-2822-1. Desmée S, Mentré F, Veyrat-Follet C, Sebastien B, Guedj J (2017) Using the SAEM algorithm for mechanistic joint models characterizing the relationship between nonlinear PSA kinetics and survival in prostate cancer patients. Biometrics, 73(1): 305-12. 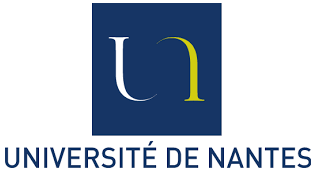 Dibao-Dina C, Lebeau JP, Huas D, Boutitie F, Pouchain D, French National College of Teachers in General Practice (2015) ESCAPE ancillary blood pressure measurement study 2: changes in end-digit preference after 2 years of a cluster randomized trial. Blood Press Monit, 20(6): 346-50. Dibao-Dina C, Caille A, Giraudeau B (2015) [Care and research: Are they ethically compatible?]. Presse Med, 44(11): 986-90. Dibao-Dina C, Caille A, Giraudeau B (2015) Unbalanced rather than balanced randomized controlled trials are more often positive in favor of the new treatment: an exposed and nonexposed study. J Clin Epidemiol, 68(8): 944-9. Dibao-Dina C, Caille A, Sautenet B, Chazelle E, Giraudeau B (2014) Rationale for unequal randomization in clinical trials is rarely reported: a systematic review. J Clin Epidemiol, 67(10): 1070-5. Feddag ML (2012) Pairwise marginal likelihood for the Bradley-Terry model. Statistical Theory and Practise : (under press). Feddag ML (2012) Generalized Estimating Equations to binary probit model. Communications in Statistics: Theory and Methods: (under press). Feddag ML (2012) Pairwise likelihood estimation for the normal ogive model with binary data. Advances in Statistical Analysis : (under press). Feddag ML (2012) Composite Marginal Likelihoods to the normal Bradley-Terry model. Communications in Statistics: Simulation and Computation , 41(3): 279-286. Bellanger L, Husi P (2012) Statistical Tool for Dating and interpreting archaeological contexts using pottery. Journal of Archaeology Science, 39(4): 777-790. Lebeau JP, Pouchain D, Huas D, Wilmart F, Dibao-Dina C, Dibao-Dina C, Boutitie F (2011) ESCAPE-ancillary blood pressure measurement study: end-digit preference in blood pressure measurement within a cluster-randomized trial. Blood Press Monit, 16(2): 74-9. Feddag ML (2010) Composite likelihood estimation to probit latent traits models. Communications in Statistics: Theory and Methods: (under press). Dantan E (2009) Modèles conjoints pour données longitudinales et données de survie incomplètes appliqués à l’étude du vieillissement cognitif. THESE pour le DOCTORAT DE L’UNIVERSITE BORDEAUX 2, soutenue le 08 décembre 2009. Baize D, Bellanger L, Tomassone R (2009) Relationships between concentrations of trace metals in wheat grains and soil soil analytical data. Agronomy for Sustainable Development, 29(2): 297-312. Mahévas S, Bellanger L, Trenkel V (2008) Cluster analysis of linear model coefficients under contiguity constraints for identifying spatial and temporal fishing effort patterns. Fisheries Research, 93(1): 29-38. Bellanger L, Husi P, Tomassone R (2008) A statistical approach for dating archaeological contexts. Journal of Data Science, 6(2): . 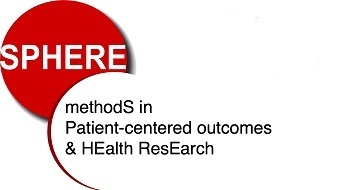 Auget JL, Balakrishnan N, Mesbah M, Molenberghs G (2007) Advances in Statistical Methods for the Health Sciences. , . Husi P, Bellanger L (2007) De la modélisation à la datation du site 3 (château) de Tours. In L'archéologie de Tours : le site 3 (Eds H. Galiniée (dir. ), P. Husi, J. Motteau ): Col. Recherche sur Tours, 9, Tours. (à paraître). Husi P, Bellanger L (2007) De la modélisation à la datation de Rigny. In La fouille du site de Rigny (7e-19e s.). De la colonia de Saint-Martin de Tours au centre paroissial (Eds : E. Zadora-Rio, H. Galiniée): Col. Référentiels, co-éditée par la MSH-Paris et les Editions Epistèmes, Paris (à paraître). Bellanger L, Husi P, Tomassone R (2006) Une approche statistique pour la datation de contextes archéologiques. Revue de Statistique Appliquée(2): 65-81. Bellanger L, Husi P, Tomassone R (2006) Statistical aspects of pottery quantification for dating some archaeological contexts. Archaeometry, 48(1): 169-183. Bellanger L, Baize D, Tomassone R (2006) L'analyse des corrélation canoniques appliquée à des données environnementales. Revue de Statistique Appliquée(4): 7-40. Bellanger L, Tomassone R (2004) Trend in High Tropospheric ozone Levels: application to Paris Monitoring Site. Statistics, 38(3): 217-241. Bellanger L, Perera G (2003) Compound Poisson limit theorems for high-level exceedances of some non-stationary processes . Revue Bernoulli, 9(3): 497-515. Bellanger L, Victorri-Vigneau C, Pivette J, Jolliet P, Sébille V (2013) Discrimination of psychotropic drugs over-consumers using a threshold exceedance based approach. Statistical Analysis and Data-Mining, 6(2): 91-101.